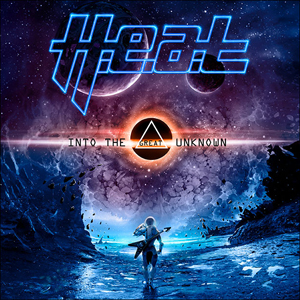 Friday, 22nd September 2017 sees the UK release of the new studio album Into The Great Unknown from the celebrated Swedish rock band H.E.A.T via earMUSIC. Into The Great Unknown is the follow-up to 2014’s Tearing Down The Walls. 2012’s successful Address The Nation album was praised worldwide as one of the best albums of the year, and consolidated the H.E.A.T’s growing reputation as the new leading band in hard edged melodic rock. Into The Great Unknown is a rock and roll journey into the great unknown. The album delivers everything H.E.A.T is loved for - frontman Erik Grönwall’s incredible vocal talent and the band’s traditional approach to melodic rock. In 2009, H.E.A.T had a huge hit in Scandinavia with the song "1000 Miles". That same year the band’s second album Freedom Rock was nominated as one of the Top 50 albums in 2010 by Classic Rock magazine UK. Since then, they’ve toured all over the world, blowing audiences away with their outstanding live concerts.